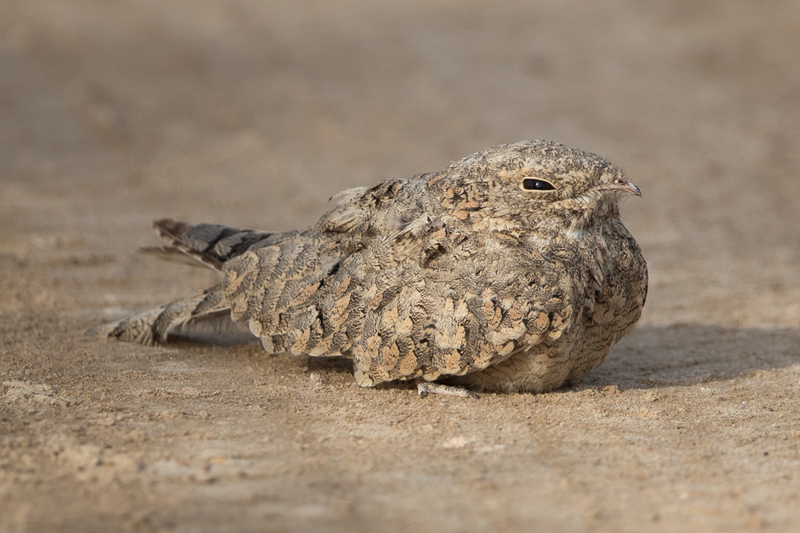 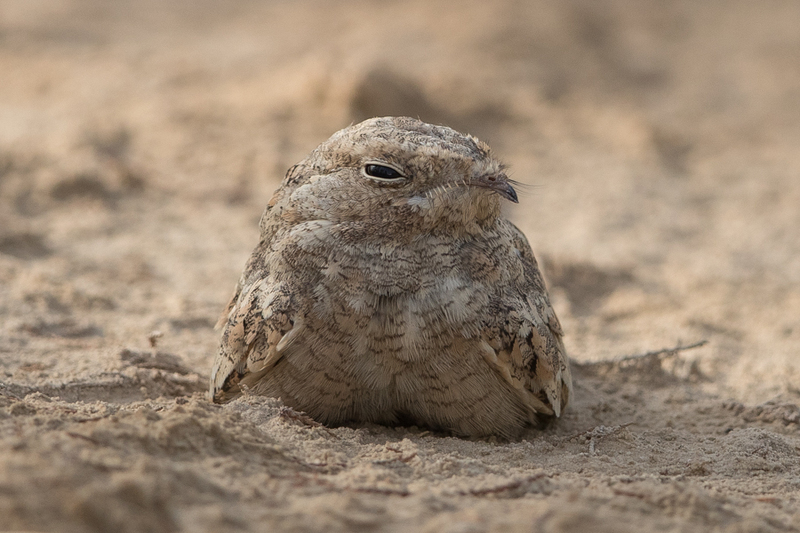 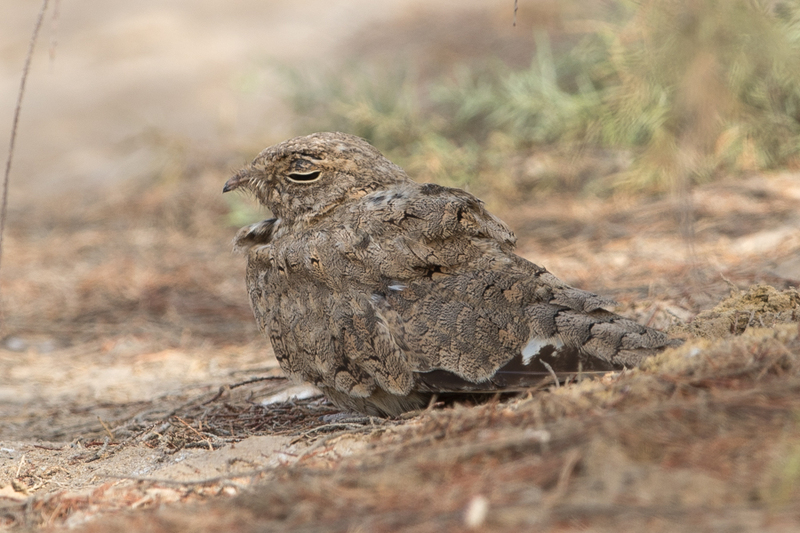 Egyptian Nightjars are now an easily seen species during the summer months in the Jubail area but this year the numbers are higher than ever with sixteen birds seen. 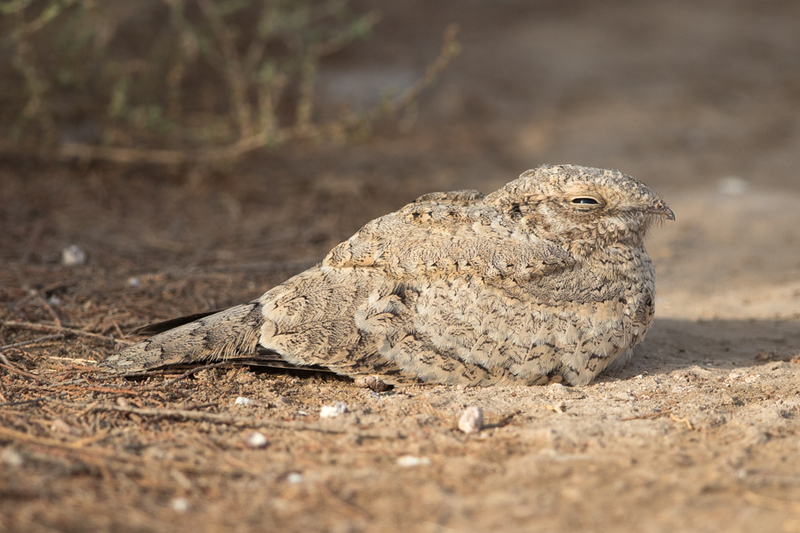 Birds generally turn up in early June and depart in late September with records of early and late birds occurring every year for the past few years. 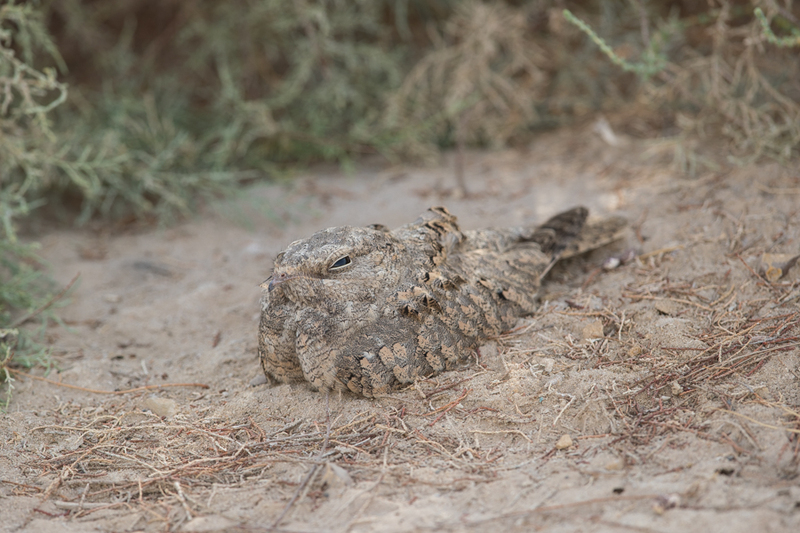 This year I have been away in the southwest of the Kingdom for much of the summer so this is my first trip to count them. 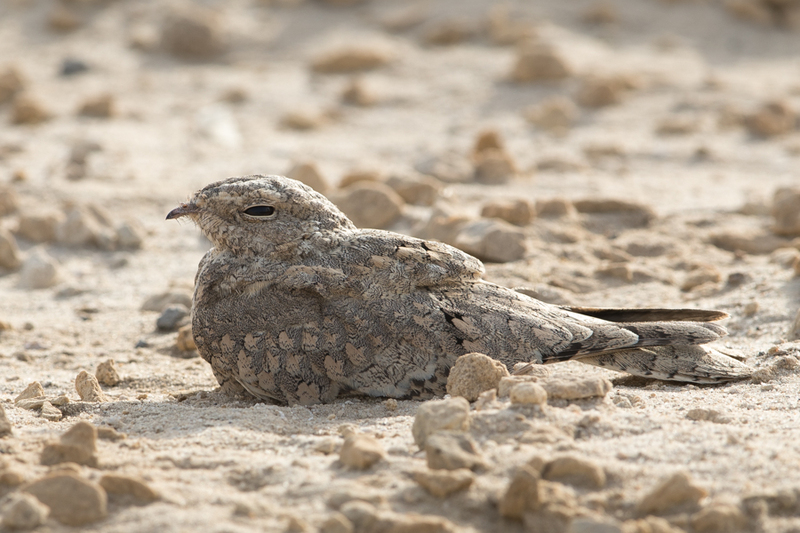 Numbers have increased almost every year since they were first found in 2006. 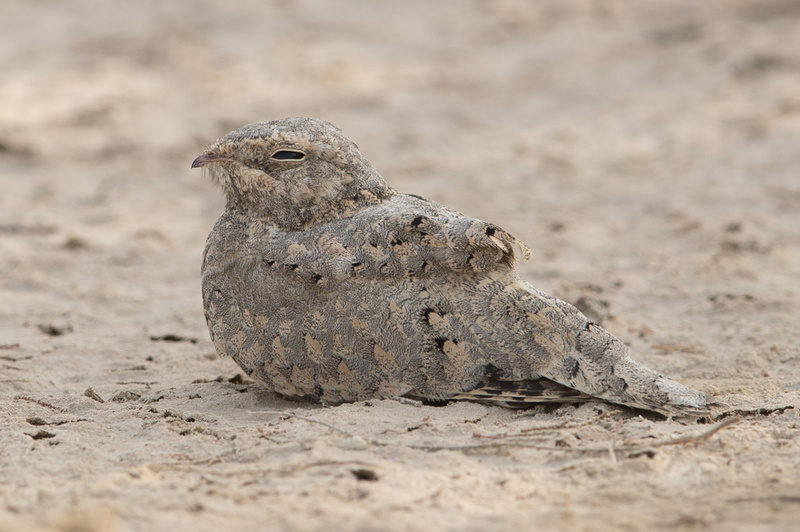 It is quite likely birds breed in the area or very nearby but I have not had any confirmation of this yet. 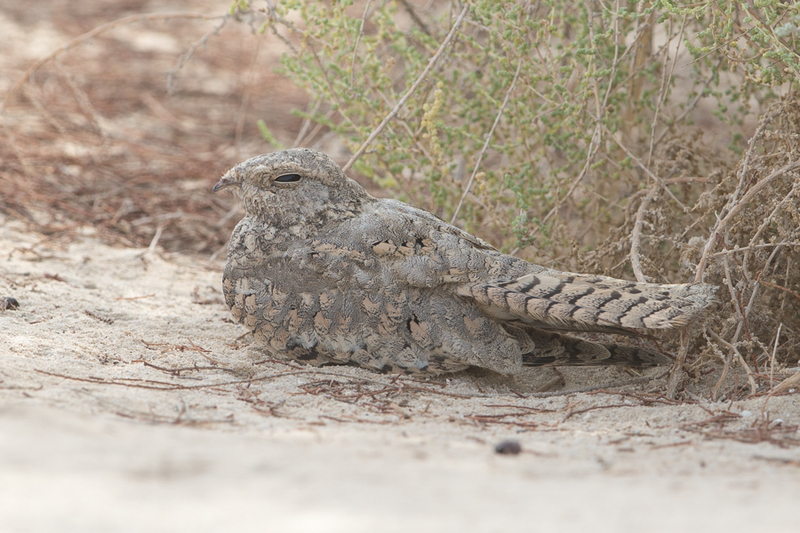 The photos below show a number of different birds. 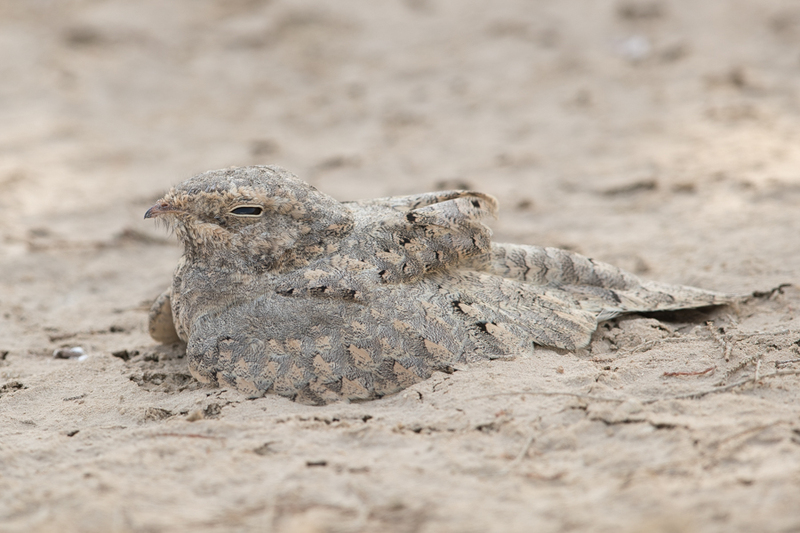 You can get very close to them in the car without disturbing them as they are convinced their camouflage can hide them from anything.